Billing for group practices is a tricky affair. Non-credentialed providers, rigid billing guidelines, and regulatory squeezes add layer upon layer of complexity to the revenue cycle. Tackle your most difficult challenges head on with our billing services. We offer group practice billing services that will accelerate your billing cycle. Are you struggling to bill for services provided by non-credentialed physicians? Are different billing numbers confusing you? Is your group practice not making much profit? Streamline billing processes, balance out new costs, maintain compliance and reduce bad debt by letting our accredited billers handle your medical billing needs. 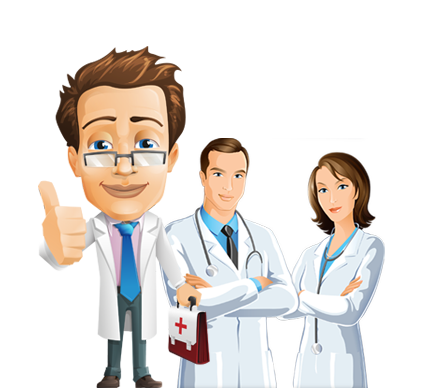 We go beyond just providing best of class medical billing support for group practices. PracticeBridge offers apps and tools that quicken and automate your workflow. We have developed a realtime financial KPI reporting app for group practices. It has advanced data tracking and mining capabilities to help group practices view and analyse key financial information. The monthly revenue analytics feature of our app gives you detailed information on your monthly collections. Get insurer specific collection reports. The app allows group practices to track the productivity metrics of individual physicians. View productivity scorecards and extensive physician productivity reports. Don't let Medicare fee updates take your group practice off-guard. The Medicare impact analysis feature enables you to run comparison reports between current and previous fee updates. And make financial forecasts. The Denial Manager feature helps group practices to zero down on denials. It tracks trends, identifies denial patterns and offers payer specific denial reports. The KPI Tracker enables medical practices to track collection KPIs and charge capture KPIs effortlessly. It simplifies data mining and there are secure communication options available. Resolve queries and raise tickets within theBillingBridge. We help group practices capture receivables in the quickest and most efficient way possible. Do you want these outcomes? Our revenue cycle management services, is the answer! Our AAPC/AHIMA certified medical coders assign accurate ICD-10 codes and provide code auditing services. Our billers have a clear understanding payer procedures and payment mechanisms. And that is one reason why we have a 98% first pass claim acceptance rate. Denials hurt. Zero down on them with our denial management specialists. Our denial auditors ensure your denial rate is as low as .2%. Get, quick and complete reimbursement with our AR calling team. We have insurance specific AR calling teams. Gain 16 hours a day by working with us. thePracticeBridge works 24/7 so you collect receivables quicker.